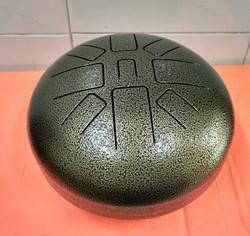 It is a percussion instrument called tounge drum made from spl.type of steel and powder coated paint.Available in different scale ¬e.Play with fingers or spl.sticks. With affluent industry practice, our entity has gained huge appreciation in the market by providing a wide range of Rhythm Drum to our respected patrons. Indian Tabla Instrument is a popular Indian percussion instrument, which is used in Hindustan classical music and devotional music of the Indian subcontinent. It comprises a pair of hand drums of contrasting sizes and timbers. The playing technique of this instrument involves extensive usage of fingers and palms in varied configurations, thereby creating different sounds. Instrumental Magic instrumental extravaganza for birthday party, wedding ceremony, Welcome ceremony, Gathering, Send-off party .Instrumental show of 3 hours available for all occasions. Instruments like key board, Guitar, Bass Guitar, Drums, Kongo, Saxofone, Trumpet, Violin, Accordian available as per requirement. The drum set is a percussion instrument consisting of typically 5-7 different size and types of drums & a variety of cymbals. It forms the rhythm or non-melody part of the song and is like the timekeeper (and of course, much more). It is played using a variety of wooden sticks and brushes of different material. Backed by a team of professionals, we bring forth an extensive range of Fiber Bongo Drum. Offered product is checked by proficient quality inspectors in respect with set industrial norms. We are recognized to be one of the profound & creative company offering Congo Bongo. In our company, there are experienced and skilled craftsmen who are engaged in designing a wide range of these musical instruments. 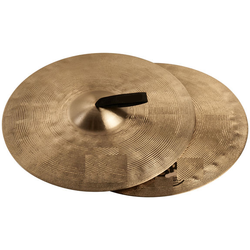 Being a quality-centric organization of this industry, we are engaged in providing a wide array of Classic Cymbal.